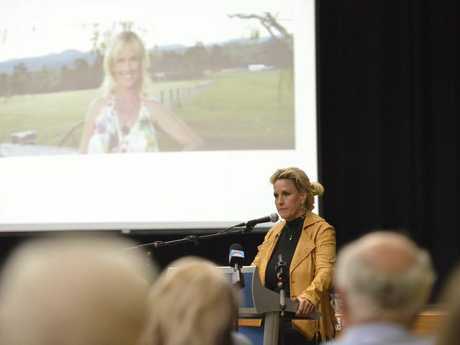 HIGH profile legal activist Erin Brockovich has called on Oakey to stand united in its fight for answers and compensation amid the ongoing groundwater contamination crisis. It's only together the town can get justice for a toxic chemical she linked to cancers, foetal defects and other health issues. 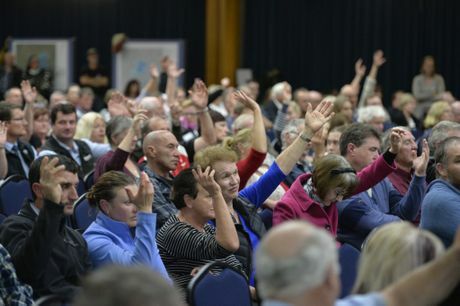 The Shine Lawyers ambassador told the 300-strong Oakey crowd revised United States Environmental Protection Agency levels had put the Darling Downs town's PFOA levels among the highest of identified contamination areas across Australia. She said like the US, the solution was governmental. "We're waking up to the fact that Superman is not coming," she said. "What is changing is you, the people. "It doesn't matter where we're from, we're all people and we're frustrated and what will make a difference here is you. "This is your home, your town, your community, your land. "The worst thing that can happen (is) if you become divided." Emotions ran raw in a question and answer session following Ms Brockovich's address, with one resident on the verge of tears as she explained her fear of contaminated water in town supplies. "I can't sleep at night wondering if my pipes are ok," the resident said. 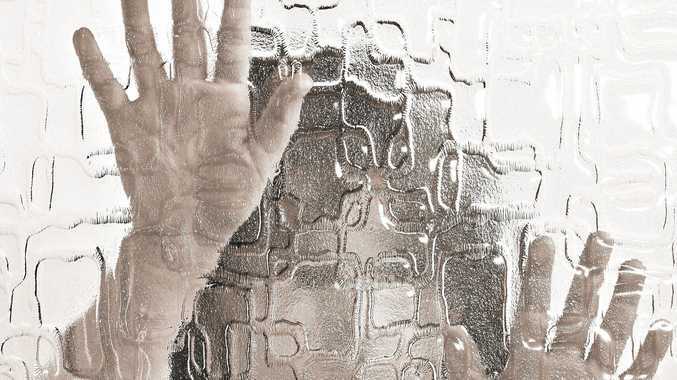 Shine Lawyers partner Peter Shannon said there had been concerns with the Toowoomba Council's reverse osmosis water supplies, but reassured the resident there was "very little, if anything" to worry about regarding town supplies. He said the firm had the funding and approval to pursue a class action against the Department of Defence, but was hamstrung by the lack of numbers to sign up. He told The Chronicle hundreds of people had contacted the firm which was pursuing Defence rather than chemical manufacturer 3M for tactical and legal reasons. Mr Shannon said the class action was a last resort, borne from frustrations at slow negotiating processes and the belief the issue was being overlooked. He was scathing of last week's 2500-page Ecological Site Assessment report Defence released. He was critical of the scientists behind the report, its transparency and the fewer number of bores which were pinpointed in the graphics, and the now-outdated US EPA acceptable contaminant benchmark level.